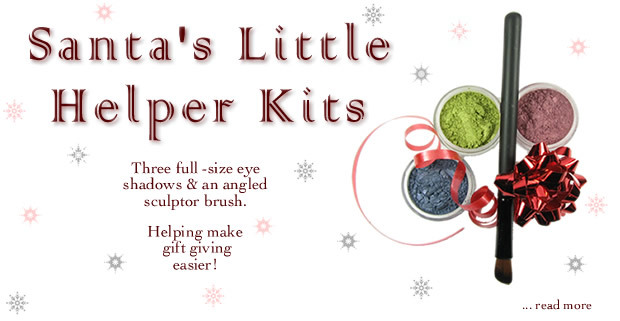 Santa's Little Helper Kits are back! We have put together a Santa's Little Helper Kit to help you out with your Christmas list this holiday season. Spend $20.00 or more on any Buff'd Cosmetics products and have the option of adding up to three Santa's Little Helper Kits to give away to your friends. A $32.40 value, each kit contains three full-size Eye Shadow shades of your choice and one of our #66 Angled Sculptor brushes - all for only $19.95. Simply add up to three kits to your existing shopping cart and then be sure to tell us, in the comments section, which eye shadow shades you would like us to include for your kits. These kits will only be available for a limited time. Our Holiday Shades are Back! Just in time for the festive holiday season, we have brought back our holiday-inspired shades. 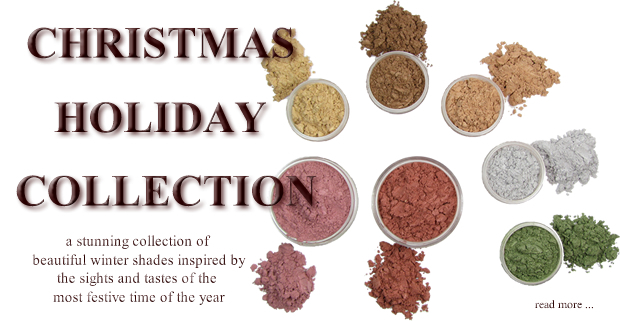 Inspired by our favorite holiday treats Egg Nog, Shortbread and Gingerbread are sure to give your lids some sizzle. For those looking for a little more festive dazzle this season we formulated Mistletoe - a fresh and lively green and Tinsel - a super sheer silver with glamorous sparkle. Don't forget some color for your cheeks. Winterchill - a cool winter pink and Holly Berry - a soft shimmering red will keep you blushing all season long!